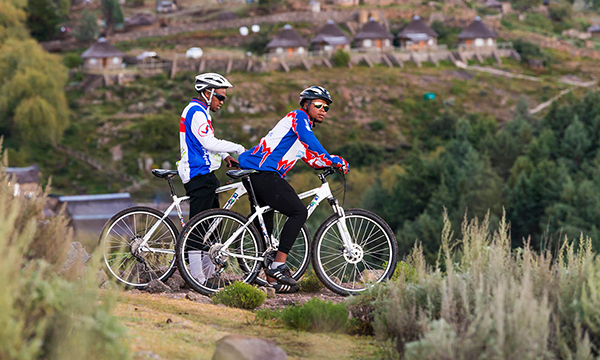 Semonkong lodge is ideally located in the centre of some of the best mountain biking in the world. 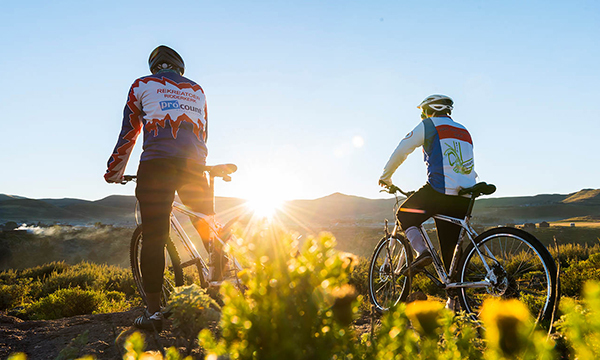 We are proud to be part of one of the leading mountain biking events in Lesotho, Lesotho Sky MTB Challenge, with Semonkong host to one of the stages in the 5 day race. You can easily ride out for a 6 hour adventure as long as your legs are strong, or shorter rides around to the falls & lots in between even for novice mountain bikers. The terrain varies from divisional gravel road climbs out of the valley which travel in all directions from the lodge, or pick up on horse trails & contour tracks for more technical tough rides. The rides are all high altitude with the valley floor around 2200 meters which really gets you puffing. The air is crisp all year round, on longer out-rides it is good to be prepared for fast changing weather conditions so take enough juice, snack bars & a windbreaker. It is also good to inform the lodge where you are heading as they have great knowledge of the area. 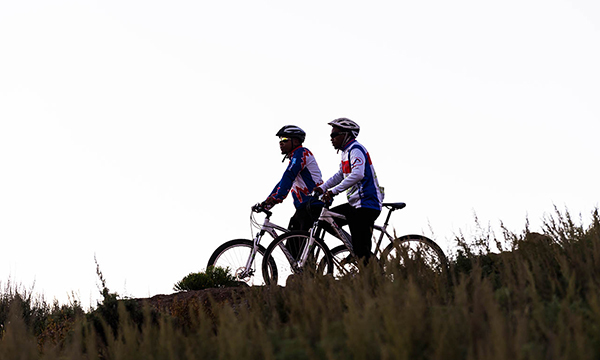 Hire a Mountain Bike at LSL85.00 per hour & pay your Local Guide directly a basic of LSL130.00.